Check out MMA News' UFC Philadelphia results and coverage for the Wells Fargo Center event featuring an exciting lightweight headliner. UFC on ESPN 2 took place from the Wells Fargo Center tonight (Sat. March 30, 2019) in Philadelphia, Pennsylvania. In the main event of the night, one of the better striker match-ups took place. Edson Barboza face former World Series Of Fighting (WSOF) champion Justin Gaethje. Gaethje opens up with a pair of leg kicks. Barboza responds with one of his own, but and a leg kick battle ensues. 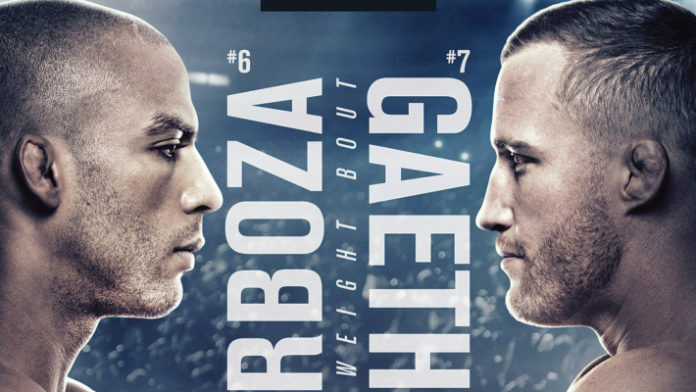 Gaethje pours on the offense as he rocks Barboza. A clinch against the cage now, and Barboza’s eye is bothered. Nice clinch work from Gaethje before they separate. Both men are exchanging huge shots inside the pocket, and both are eating leather. A huge right hook from Gaethje knocks Barboza out cold as he’s moving backwards. Amazing finish from Gaethje.